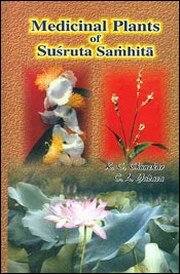 This book is the most important work to date on the correct identification of medicinal plants in the Susruta Samhita. The importance of this work cannot be underestimated for teachers, professors, researchers, pharmacists and educational institutions, the world over. Until now the numerous controversies concerning the medicinal plants prescribed by Rishi Sushruta have never been thoroughly investigated in a modern scientific manner. Clarifying the Sanskrit synonyms and relating these to the modern botanical Latin names has been the life work of Professor K.C. Chunekar of Varanasi. Volume one addresses the correct identification of Sanskrit and Latin names for each plant indicated by Rishi Sushruta and volume two (forthcoming) indicates the therapeutic actions of the plants identified in volume one. Index to Sanskrit and other regional names. Prof. K.C. Chunekar, A.M.S., Ph.D., is a Fellow of the National Academy of Ayurveda, & Professor of Dravya Guna and is the author of several important books. He retired as Head of the Dravya Guna Department, I.M.S., Banaras Hindu University in 1988. Born in August 1928, Prof. Chunekar learned Ayurveda at a young age from his illustrious Vaidya Sriniwas Shastri who was the closest student of the illustrious Vaidya of Varanasi, Vaidya Tryambaka Shastri. Additionally, Prof. Chunekar also had the great privilege to learn Ayurveda directly from late Vaidya Satyanarayana Shastri, Professor of B.H.U., and follower of Bengal School of Ayurveda. He has more than 50 years of practical and clinical experience in Ayurveda and is a Visiting Professor to Gujarat Ayurveda University, Jamnagar, India. Furthermore, he has trained and guided many research scholars in doctorate programs. Prof. Chunekar is perhaps the most outstanding authority on Dravya Guna and identification of Ayurvedic herbs today. He worked for W.H.O. in Nepal and the Scientific Advisory Committee, ICMR Center, CDRI, Lucknow. He has been nominated as Guru to carry on the Guru-Shishya Paramparaa by the Indian government and has received the Sri Gyaana Kalyaana Award in 2000. He is the senior expert of TKDL (Traditional Knowledge Digital Library) Project (NISCAIR-CSIR) and a member of ASUDTAB (Ayurveda, Siddha & Unani Drugs Technical Advisory Board), Govt. of India.